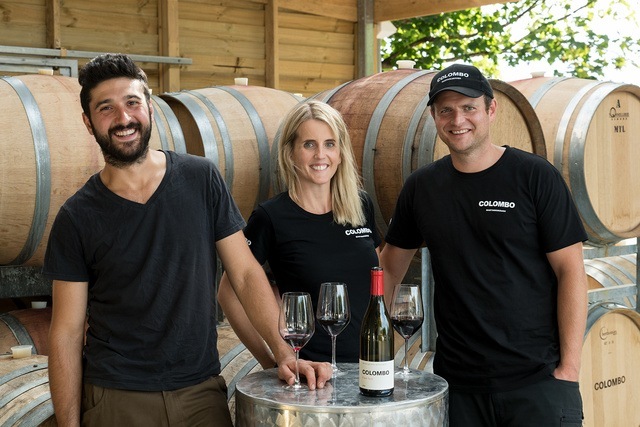 Colombo Martinborough, established in 2014, is now owned by German-Kiwi husband and wife team Thomas and Nicola Röckinger. Set amongst their 19 year old Pinot Noir home block on Todds Road, Colombo Martinborough's cellar door is a short distance from Martinborough Town Square. Their wines are crafted by hand in small batches to harness the region's distinctive conditions. Enjoy seated tastings as well as wine by the glass, accompanied with delicious food. You're welcome to bring a group of friends or family to Colombo Martinborough but please book if there are 6 or more of you. See their website for upcoming events including monthly No Menu Nights.